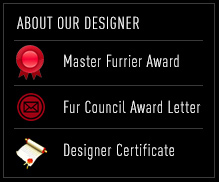 Directions To Glama Furs | Glama Furs, Inc. North Shore's Finest & Largest Furrier, Since 1974. 4 sets of lights. Glama Furs will be on your right side next to Dunkin Donuts. From 128 North. Take exit 25A to Lowell St. (W. Peabody), bear right onto North Shore Road. of lights (distance 1.8 miles), Glama Furs will be on your right hand side next to Dunkin Donuts. right at the end of the ramp & go under the Route 1 overpass. Travel 50 yards further & go under a second overpass. Glama Furs is after the traffic light next to Dunkin Donuts on the left. From the South. Take Route 1 North to the Lowell Street exit. Take a right at the end of ramp.